There were a number of team names from minor baseball that weren’t quite good enough to make the other categories but are still worth ridiculing. 10. Idaho Falls Chukars – The chukar is a type of partridge native to Pakistan and India… which clearly explains why a baseball team from Idaho thought it would be a good mascot. Stupid potato farmers. 9. Fort Wayne TinCaps – The only people I know who wear tin caps are conspiracy theorists who are trying to deflect mind controlling satellite signals. Personally, I would try and avoid associating myself with that crowd, but to each his own. 8. Lansing Lugnuts – Now I would have thought that the term lugnut was more of an insult that source of team pride. Maybe the team is so bad that that’s all the fans call them anyway so they just decided to roll with it. 7. Frederick Keys – The keys?! Obviously the team over procrastinated when it came to deciding on a name and panicked at the last minute and went with the first thing they found in their pockets. In fact it came down to a vote between the Keys, the Slightly Used Kleenexes and the Expired Coupons. 6. Batavia Muckdogs – The team used to be called the Clippers but changed their name following a fan poll. Let this be a lesson that people are idiots and giving them any kind of decision making power will have terrible consequences. I keep telling you people – democracy doesn’t work! 5. Everett Aquasox – History lesson for you. Many baseball teams, back when the sport was first popularized in the US, were distinguished by the colour of stockings the players wore. There were teams like the St. Louis Brown Stockings, St. Louis Red Stockings, Philadelphia White Stockings, and of course, the Chicago White Stockings and Boston Red Stockings. These were eventually abbreviated, resulting in teams like the Chicago White Sox and Boston Red Sox. So that brings us to the AquaSox. Clearly they were handing out manly team colours to all of the Minor League Baseball teams, the Everett representatives were at the bar doing tequila shots, and ended up getting the distinguished choice between aqua and purple with hot pink stripes. But colour aside, I wonder if the team's fight song is Barbie Girl? 4. Traverse City Beach Bums – Nothing like building a poor work ethic right into your team identity. 3. Peoria Javelinas – Allow me to venture some guesses as to what a javelina is. It is either a) a miniature javelin b) a Spanish javelin c) the homosexual equivalent of a javelin or d) a combination of all 3. 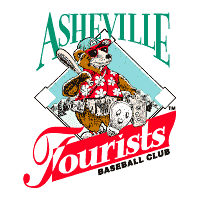 Be sure to drop by the Asheville team and get into the true Tourist spirit with official gear such as bad Hawaiian shirts and really ugly fanny packs. 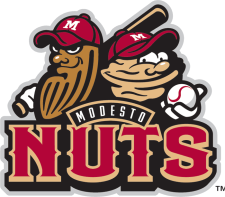 Seriously, what a terrible mascot! As if being the colour commentator for this team wouldn’t be a dream job. … trust me I could go on for days.